The Museum of Curiosity is BBC Radio 4's monumental comedy edifice, and the only one with gargoyles in the foyer. It allows nothing inside that doesn't make you scratch your head, stroke your chin or, at the very least, go 'hmm'. Fortunately, helping to fill its vacant plinths is a gathering of the world's most original minds. 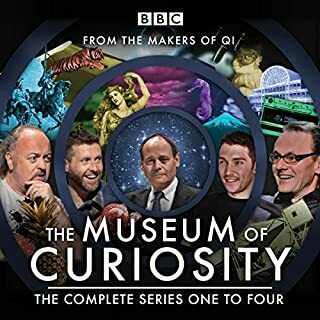 Among the guests bearing donations to the museum in these 25 episodes are Neil Gaiman, Sarah Millican, Clive James, Kate Adie, Sir Terry Pratchett, Ronni Ancona, Jon Ronson and many more. Join Professor John Lloyd and Curators Noel Fielding, Jo Brand, Romesh Ranganathan and Sally Phillips as they plunge down the badger hole of ignorance in a search for the universe's most mind-boggling oddnesses. The Museum of Curiosity is BBC Radio 4's monumental comedy edifice and the only one with gargoyles in the foyer. It allows nothing inside that doesn’t make you scratch your head, stroke your chin or, at the very least, go ‘hmm’. Fortunately, helping to fill its almost vacant plinths is a gathering of the world’s most original minds. Think you know what happened in 2018? Think again. 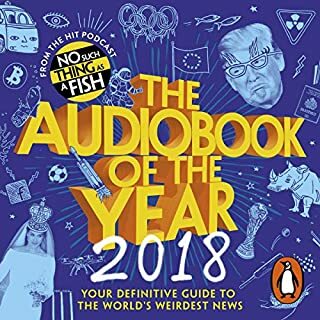 Following hot on the heels of the success of The Audiobook of the Year (or, more precisely, 12 months later), The Audiobook of the Year (2018) bravely delves behind the headlines to sniff out the best and most bizarre facts of the past 12 months. Compiled and written by the creators of the award-winning hit comedy podcast No Such Thing as a Fish, all of whom are researchers for QI. if you like the podcast, you'll love the book. 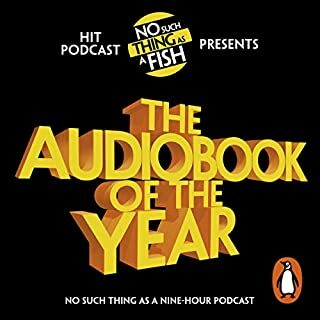 The Audiobook of the Year is a feature-length edition of the award-winning hit comedy podcast No Such Thing as a Fish. Each week over a million people tune in to find out what bizarre and astonishing facts Dan, James, Anna and Andy have found out over the previous seven days. Now the gang have turned their attention to the news of the past 12 months. Silly, erudite, irreverent, and brilliant. The Museum of Curiosity is BBC Radio 4's monumental comedy edifice, and the only one with gargoyles in the foyer. It allows nothing inside unless it makes you scratch your head, stroke your chin or, at the very least, go 'Hmm'. Secondly, it is almost completely empty. Fortunately, helping to fill its vacant plinths is a gathering of the world's most original minds. Join Professor John Lloyd and curators Jimmy Carr, Humphrey Ker, Phill Jupitus and Sarah Millican as they plunge down the badger hole of ignorance in a search for the universe's most mind-boggling oddnesses. The Museum of Curiosity is BBC Radio 4's monumental comedy edifice and the only one with gargoyles in the foyer. It allows nothing inside that doesn't make you scratch your head, stroke your chin or, at the very least, go 'hmm'. Fortunately, helping to fill its almost vacant plinths is a gathering of the world's most original minds. 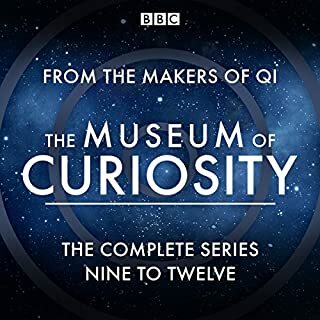 Among the guests bearing donations to the museum in these 25 episodes are Al Murray, Jo Brand, Pamela Stephenson-Connolly, Frank Cottrell Boyce, Sara Pascoe, Mark Watson, Richard Ingrams, Richard Herring, Cleo Rocos, Paul Sinha, David Frost, Richard Osman, Sandi Toksvig, Rich Hall, Clive Anderson, Neil Innes, Ken Dodd, Henry Blofeld, Tim Smit, Rufus Hound, Matt Lucas, Susan Calman and many more. In addition to all the episodes from series 5-8, the 2015 'Coding Special' is also included. 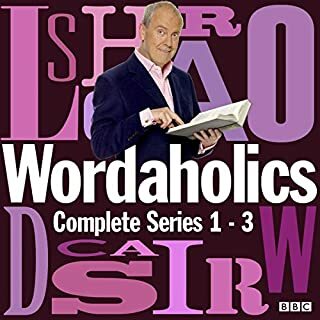 ©2016 BBC Worldwide Ltd. (P)2016 BBC Worldwide Ltd.
God I love this show. It’s a fascinating and funny thing to listen to while at work. I’ve probably scared my cube mates a few times laughing. This is for you if you enjoy random bits of information! Wonderful listen! Definitely listen to all of the series! 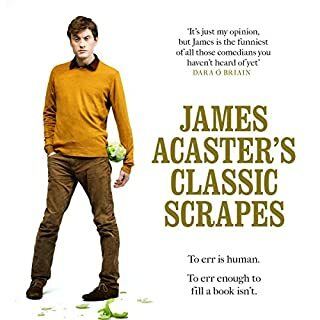 Great programme, but this audiobook is incomplete. Great programme but there is a duplicate episode at the end of the recoding, meaning an episode is missing. This collection is missing series 5 episode 2 and series 8 episode 6. Don't spend money on this until Audible have confirmed that they have corrected the problem. Very enjoyable as ever. The problems of the missing episodes from last year were very annoying. Just listened again and all the 4 series are now complete and in order, but the Coding Special is gone. Oh well...at least it means Audible paid some attention to the comments - maybe they will add in the special at some time. This is such a great series, though shame they still haven’t corrected the file as it is missing two episodes. Whilst this may be annoying, I do recommend getting it. V.enjoyable. Like a jacuzzi of words and facts for the ears! Utterly entertaining and awesome would recommend to anyone!! Fans of QI will love this show. Each episode gives us experts in various fields offer up an item to be held in the infinitely elongated and random museum. This show would be great if were not for the small and petty gripe i have with the sound quality. Nobody seems to have told the guests about speaking into the microphones in front of them. Every now and then the sound drops so quiet its hard to hear what is being said. This happens enough that I gave up trying to listen to the whole series. Its a shame, because other than that its a funny and informative show. Yes, educational and incredibly amusing. 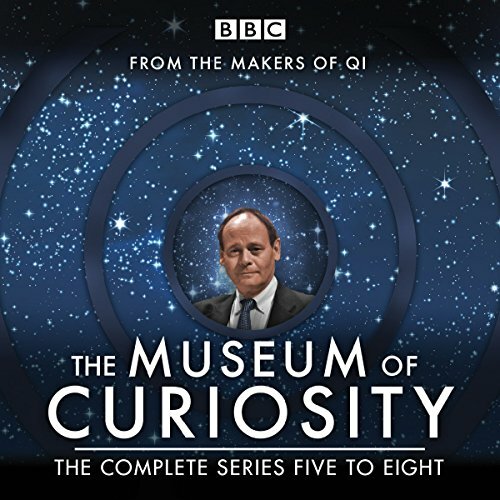 What other book might you compare The Museum of Curiosity: Series 5-8 to, and why? The cast is brilliant throughout, exceptional contributions in each episode. Always fascinated by learning new facts. The first two episodes have been cut short. I'd love it if this could be rectified in the edit, but otherwise it's brilliant, and amazing value for money. Can't wait for volumes 9-12!! !